To use Rigify, we must first enable the Rigify add-on. It is found in the Rigging category. Press Save User Settings to remember the choice. Choose Rigify as the Rig Type. 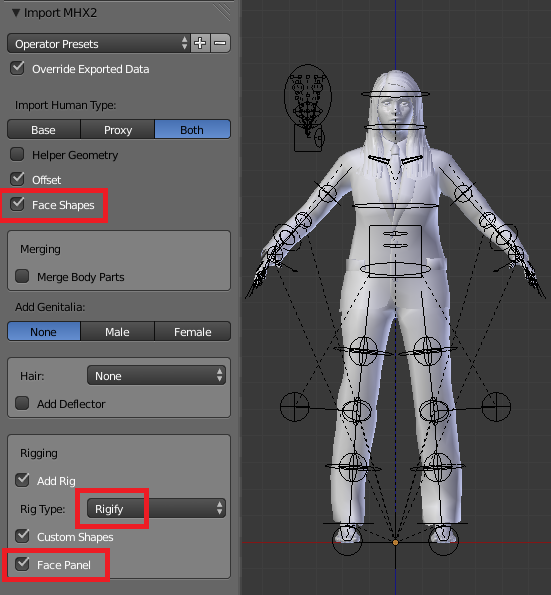 If you want to control facial expressions with the face panel, enable Face Shapes and Face Panel as well. 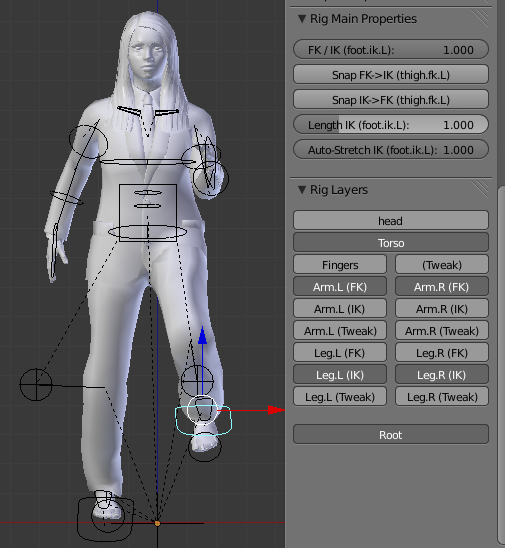 The character is now imported into Blender with a rigified rig, and is ready for posing. The control panels for Rigify are found in the user interface pane to the right of the viewport. 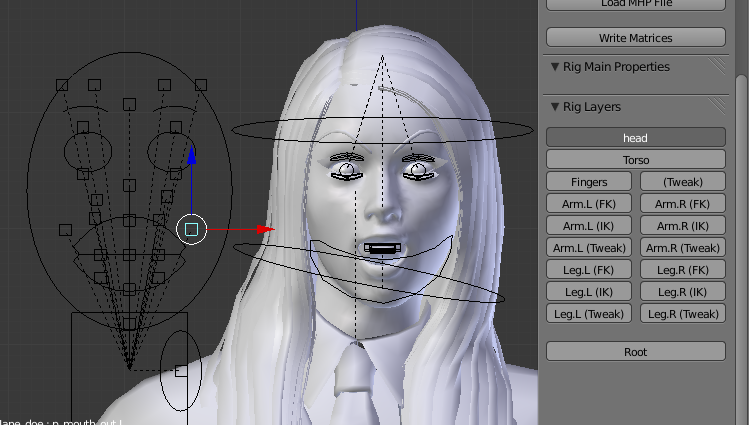 Since Rigify does not include any face rigging, the bones and face shapes from the MHX rig are used. The face bones and the face panel are found on the Head layer (bone layer 1). Disclaimer: MakeHuman has no control of the Rigify add-on. 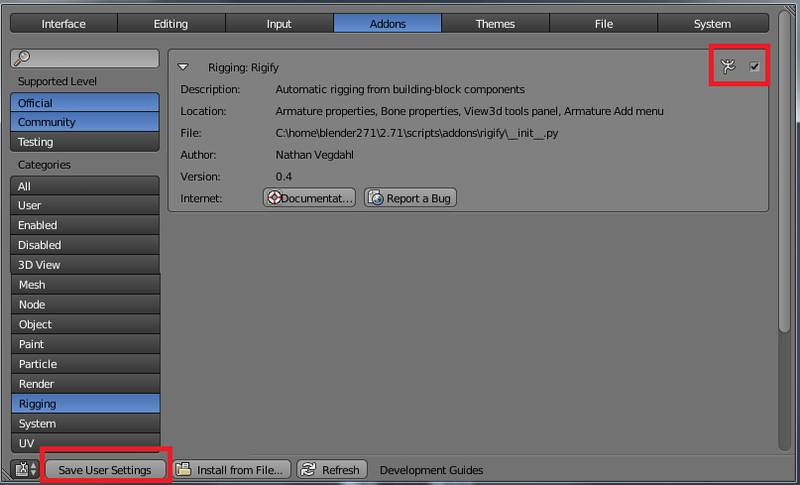 Rigify support was tested with Blender 2.71. If the specification of Rigify changes in the future, MHX2 may not work with it. I can’t even get close to all options. Most options is grayed out…. Sorry for the comment I looked at another place. i’m using blender 2.78b and makehuman 1.1.1 but rigify it think not work right ? where should i go to choose rigify as the rig type?? ?